← Discount plan? Dental insurance? What’s the difference? You’ve probably heard chatter about going vegan. A 2016 Harris Poll found that an estimated 3.7 million adults in the United States adhere to a vegan diet. While vegetarians don’t eat meat, vegans go a step further by eliminating other animal products like eggs, dairy and more. People choose this modified diet for a number of reasons, including animal welfare, environmental conservation, and health benefits such as increased energy and lower cholesterol. This shift in diet is proven to be safe, although it may have some unintended consequences for oral health. According to the American Dietetic Association, nearly anyone can live a healthy life without meat, but giving up traditional sources of nutrients can increase the risk for gum disease. 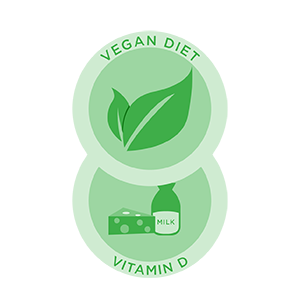 Veganism is a viable healthy diet option, but it’s important to maintain proper nutrition to support oral health.